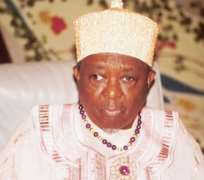 The Ooni of Ife, Oba Okunade Sijuade, Olubuse 1, Oba Lamidi Adeyemi, the Alaafin of Oyo and other prominent Yoruba traditional rulers, will be in Lagos for the three-day Yoruba World Film Festival (YOWFEST), organised by the Association of Nigerian Theatre Arts Practitioners (ANTP). NFC learnt that the event, which begins today at the Banquet Hall of the newly rehabilitated National Arts Theatre, Iganmu, Lagos, will be chaired by the former governor of Lagos State, Asiwaju Bola Ahmed Tinubu. Other dignitaries expected at the event include Oba Rilwan Akiolu and the governor of Lagos State, Babatunde Raji Fashola, who is the chief host, among others. The festival, according to ANTP President, Prince Jide Kosoko, will feature a special meeting of indigenous language film makers irrespective of association or tribe, to discuss the prospects and challenges of films in local languages. Kosoko said that there will be a film market where manufacturers, leasing company representatives and professionals in the industry will get special festival deal. Other activities are seminars/workshops, book launch, cultural performances and Yoruba film fund, a special fund for promotion of indigenous films. The ANTP president said that the high point of the festival is awards and special recognition/life time achievement award to Professor Wole Soyinka, Dr. Ola Balogun, Elder Moses Olaiya Adejumo, Ambassador Segun Olusola, Professor Dapo Adelugba, Dr. Yemi Farounbi, Alagba Adebayo Faleti, Chief Jimoh Aliu, Tunde Kelani and Eddie Ugbomma, while post humous award will be given to Chief Hubert Ogunde, Chief Duro Ladipo and Adeyemi Afolayan a.k.a. Ade Love. Jide Kosoko said that the opening ceremony, which holds on Sunday, will be attended by Ambassador Segun Olusola, Oba Lamidi Adeyemi, the Alaafin of Oyo and others.